So it has fallen to me to take up the blogging helm – so let me first apologise for the bad spelling and appalling grammar. But please do stick with me pretty please…. 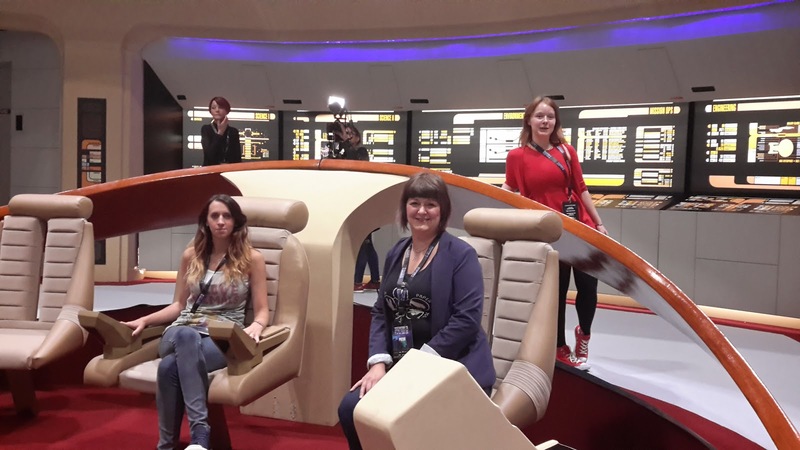 But there was little time to explore more before we had to dash (and I do literally mean dash) to the press conference hosted by the terrific Jordan Hoffman where the equally as fabulous Jeri Ryan and Marina Sirtis took centre stage. This was our first taste of what was to come and already we were bouncing like kids at Christmas. Jordan Hoffman hosted a Vegas inspired panel on the best TNG episode, we voted for The Inner Light. Then probably the highlight of the day was the opening ceremony hosted by the one and only Jonathan Ross. A whirlwind of stars were paraded before our eyes each given enough time for a few questions. 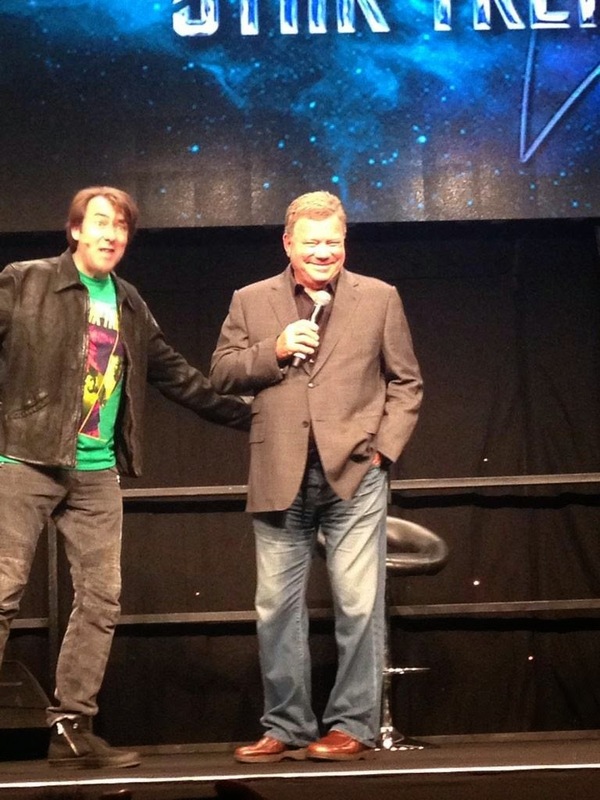 Jonathan tried to get to the bottom of gossip on rumours that William Shatner will be in the new Star Trek movie. Sadly William Shatner give nothing away (Nooo I need to know). Bruce Greenwood (for whom this was his first convention) looked a little overwhelmed but went on to explain how touched he was feeling and overwhelmed by the response he had received (brought a tear to your eye). But it was Nichelle Nichols sharing a kiss with Robert Picardo to thunderous applause which was my personal highlights.